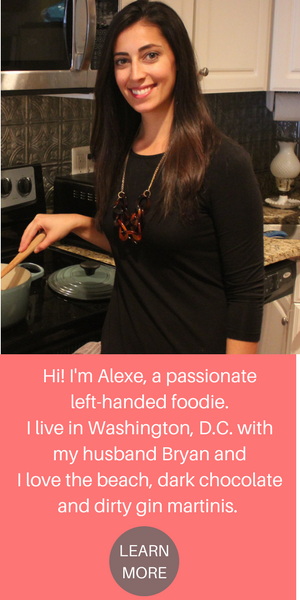 My main goal with every recipe I publish is for it to be approachable and easy to follow. Sure one time I shared the most ridiculous homemade heart shape ravioli (just the instructions alone will scare your pants off!) and I’ve given you a couple of recipes that need a full day to prep, but for the most part I try to keep them totally weeknight friendly. 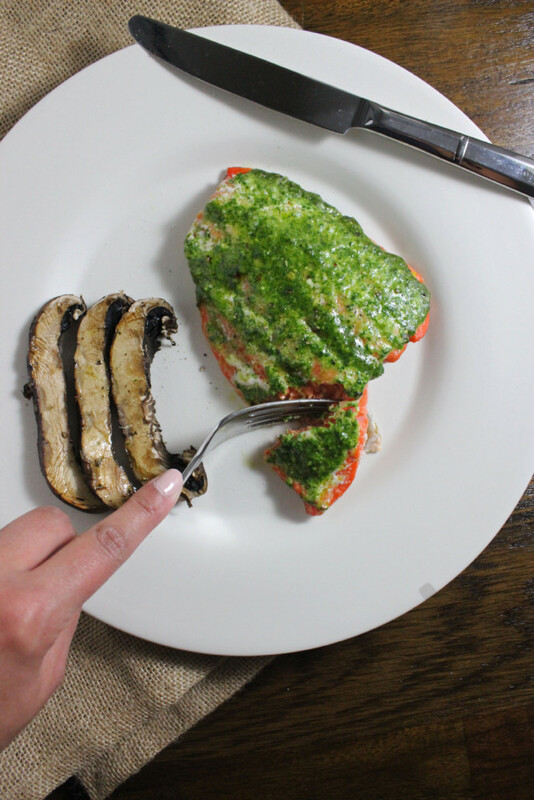 This salmon and spinach parsley pesto is no exception and after fish night in cooking class, I am even more confident that you will enjoy this bad boy! Remember when cooking with fish, it should smell fresh like the ocean and be firm to the touch. You should also aim to cook it for 10 minutes per inch of thickness. The pesto serves as double duty since this recipe will make more than you will need for two fillets. My suggestion is to make four fillets and invite some friends over or boil up some spaghetti and slather this herby goodness all over warm pasta! In a food processor, combine the spinach, parsley, parmesan, pine nuts, crushed red pepper and salt. Pulse 5-10 times until well incorporated. While the processor is on, slowly stream in the evoo. 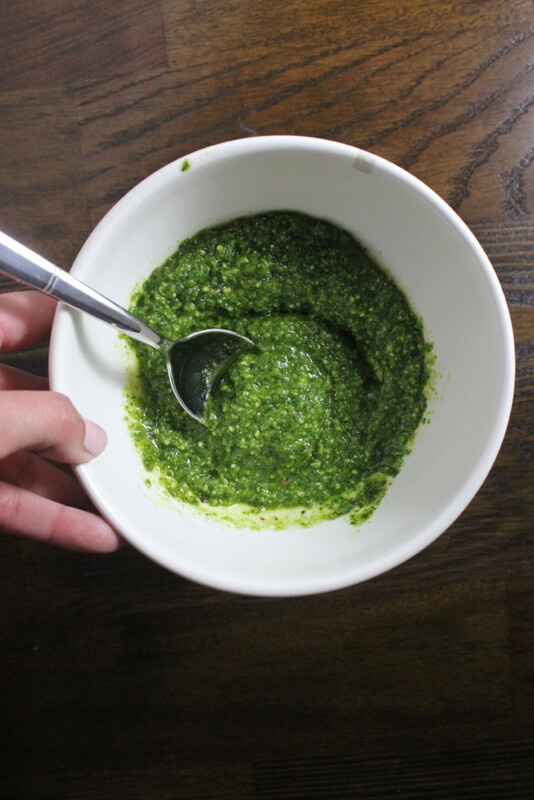 Scrape down the sides with a spatula to make sure all of the pesto mixture gets mixed into the olive oil. Rub a sheet pan with olive oil and place the salmon skin side down. Drizzle more olive oil on top of the salmon and sprinkle with a pinch of salt and pepper. 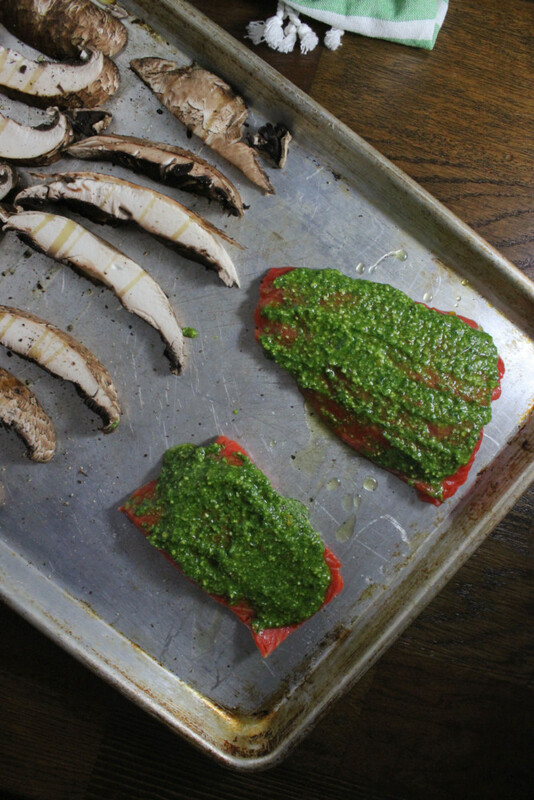 Spoon the pesto liberally onto the salmon and bake for 10 minutes per one inch of thickness. These two fillets cooked for 15 minutes. 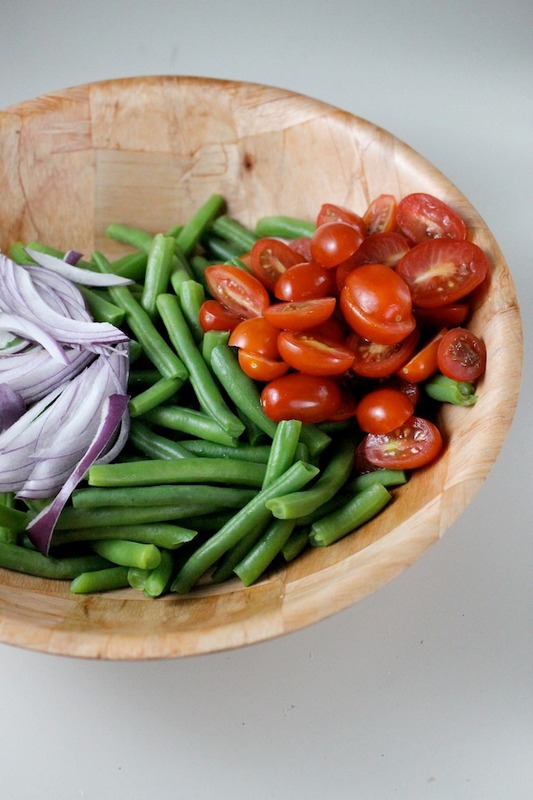 Enjoy with sliced portobellos or scroll down for an easy green bean salad recipe! 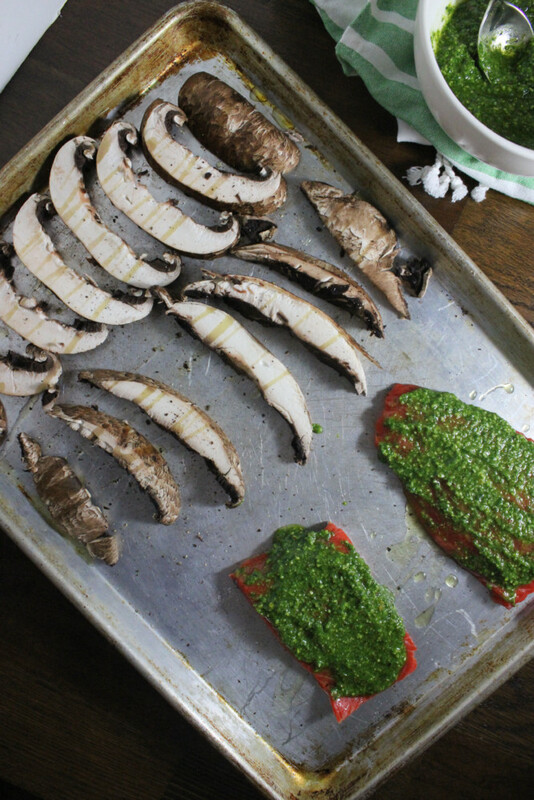 I roasted these sliced portobello mushrooms along with the salmon with a drizzle of evoo and pepper. I waited to salt them until the end so that the salt didn't pull out the moisture and make them soggy. I’m a piano girl, so I’ve been all caught up in this song ever since Spotify served it up to me a couple weeks ago! This recipe would pair well with this green bean salad!